A local doctor will train for years – mentally, physically and emotionally – for the chance at a trip to space that could impact our knowledge of climate change. The plane was about to take off as Shawna Pandya, an Edmonton doctor, listened to the debriefing. But it wasn’t your typical “the emergency doors are located near the wings” speech. Instead, she was told that, if the pilot yelled for her to bail, she would need to jump from the two-seater plane and activate her parachute. After takeoff, the plane looped through the air, flew upside down and dropped at various intervals while Pandya monitored her reactions to the changes in gravitational forces. While Pandya’s plane never left Earth’s atmosphere, the lack of gravity at various points in the trip mimicked what it would be like to be in space. 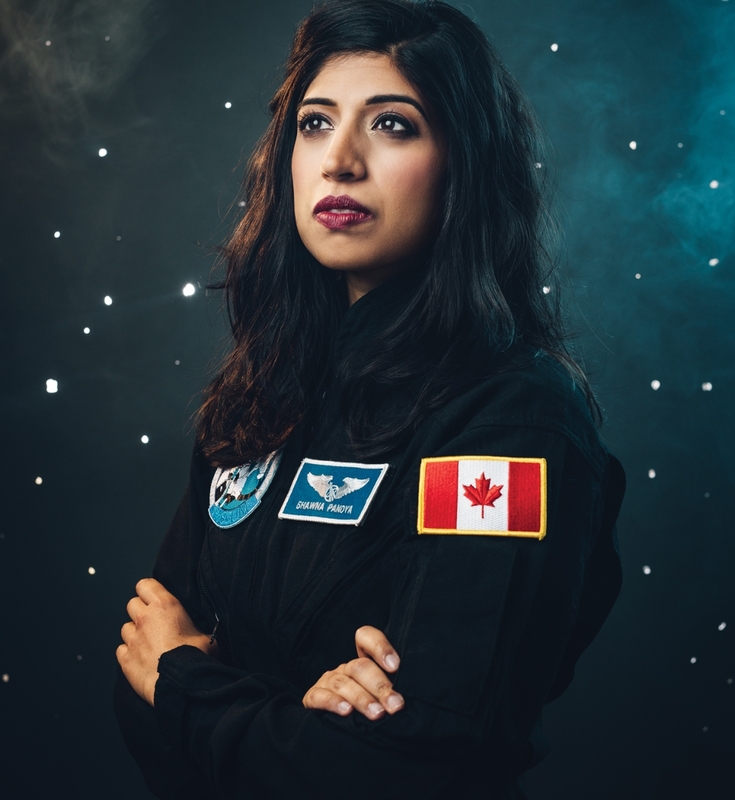 Pandya, wearing a black jumpsuit with her name on the front and Canadian flag sewn on the left sleeve, was taking a four-day space training course in Daytona, Fla., as part of Project PoSSUM. It is a scientist astronaut project – meaning that the space flights, which will be supported by NASA’s Flight Opportunities Program, will have trained scientists like Pandya on board. In this case, the scientists will be studying clouds in the upper atmosphere that have increased in frequency since their discovery in the late 1800s, and are believed to be markers of climate change. About 40 scientists will participate in the astronaut training over the course of several months. “I was surprised by how fun it was. You’re tired – the days start at 6 a.m. and we were back at the hotel around 10 p.m. – but I was just having a ball. I just felt like I want to do this again, and I want to do more of this,” says Pandya. Ultimately those who participate in the training will be part of a candidate pool with the goal – depending on whether costs and flight readiness can be met – of a minimum of 10 going to space by approximately 2018. A pilot will man the flight while the scientists will gather data. 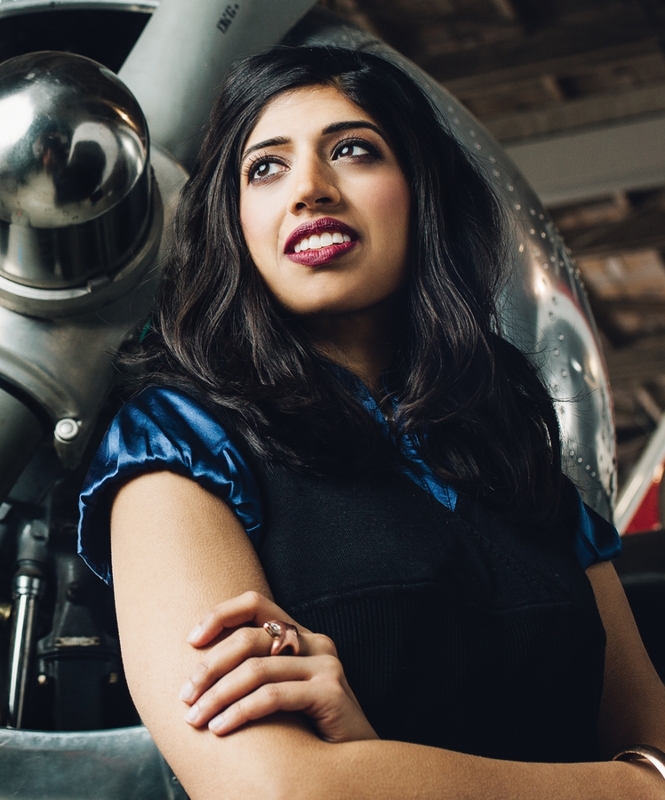 Pandya, a member of Avenue‘s Top 40 Under 40 class in 2012, is hoping she’ll be among them. She has a background in both medicine and space science, having completed a master’s degree in space studies at the International Space University and later holding research positions at NASA’s Johnson Space Center in Houston and at the European Astronaut Centre near Kln, Germany. The day we meet, she wears hospital scrubs and a smile; her eyes are expressive, her demeanour upbeat, revealing an excitement that contradicts her busy schedule. She has just come from speaking at a local high school’s career day and, prior to that, she’d worked a full day as a resident physician with Alberta Health Services. In the past, she worked as a resident neurosurgeon, and her impressive rsum makes her an ideal candidate to speak to a room full of students. She’s also a sessional lecturer for a course on technology and the future of medicine at the University of Alberta, a motivational speaker, and the host and creator of TalkMedTech, a podcast about startups, technology and social activism. The 31-year-old also uses her knowledge of science to advance social change, having mentored young girls who are interested in science. And in 2009, she co-created CiviGuard, an emergency response software system presented to the White House that’s designed to help individuals during times of mass evacuation. While Pandya’s interests are diverse, space has always intrigued her. “I’ve wanted to go to space since I was a child. All of my experiments in junior high related to space – all my teachers knew I wanted to be an astronaut,” she says. Preparing for space requires more than just knowledge – it involves an incredible amount of mental and physical agility. The flights through PoSSUM will be suborbital. Commercial space vehicles used for these flights look similar to airplanes, and are capable of travelling to the upper atmosphere and down to earth again in less than 20 minutes. The PoSSUM flight will take less time than driving through Edmonton. It’s an emerging field, says Pandya; there have been fewer than 10 flights so far. Along with their potential to hugely impact science, these flights could also change the way we travel – a trip to the opposite end of the world by suborbital vehicle might only last an hour. During PoSSUM’s flight, scientists will use a high-resolution camera to capture images of clouds while an atmospheric sampler will detect carbon dioxide content. An atmospheric pressure sensor will determine temperatures and an aerosol sampler will reveal changes in atmospheric density. One of the big challenges is to maintain focus and not be affected by nausea during the short flight. Changes in gravitational forces can cause vomiting, as Pandya experienced on her first aerobatic flight. She was able to successfully gather data and help navigate the plane. But, once the plane descended, she gave in, vomiting into one of the bags you’d typically find in the pocket of the seat in front of you on any commercial flight. 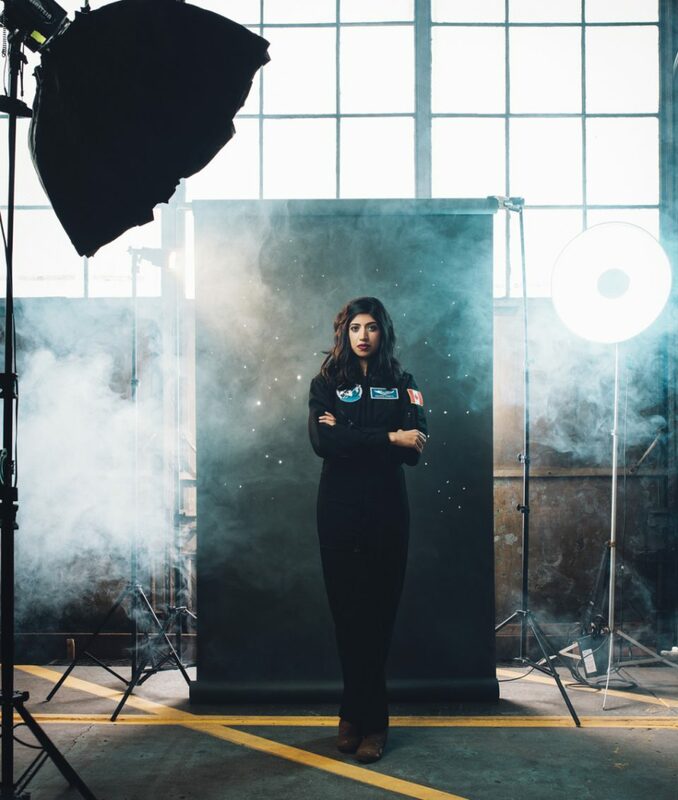 Over time, our bodies adjust to the gravitational changes, so Pandya is working on her private pilot’s licence, which will help prepare her body for space. Another challenge is that an emergency situation can happen instantly. Pandya’s PoSSUM training addressed some of those challenges by having participants recognize their own bodies’ warning signs. Participants were locked in a hypobaric chamber, which looks like a white submarine. Oxygen saturation inside the chamber gradually decreased, and participants monitored their symptoms – tightness of chest, tingling, hyper-focus and loss of colour vision would be cues that it’s time for the scientists and the pilot to put on oxygen masks. “Otherwise, if one fails to recognize a slow-onset hypoxia situation, one will eventually lose consciousness, which would be disastrous,” Pandya says. The only way to prepare is to develop resourcefulness and an ability to think quickly. Recently, PoSSUM announced it will be hosting a Spacecraft Egress, Sea-Survival and Rescue Operations course, and Pandya plans to take part. Pandya is also looking into survival training, and started with a wilderness medicine course. She learned how to handle wounds from a bear attack without a first aid kit or what to do if a climber falls from a mountain. Pandya also has a black belt in taekwondo, having practised it for 15 years. In 2015, she travelled to Thailand to train in muay thai, a full-contact martial art. While the training was intense, she says, it was incredibly fun – and she carries that attitude with her throughout her incredibly packed schedule. When asked how she unwinds, she pauses to think for a moment. She finds calm in pursuing her passions, she says. It’s not stressful; it’s invigorating. “I love the exploration of the unknown and pushing my limits,” says Pandya. She may be talking from a personal perspective, but the sentiment could be applied globally. As scientists explore more in space, they push the limits of their understanding – and Pandya is excited to be a part of it.